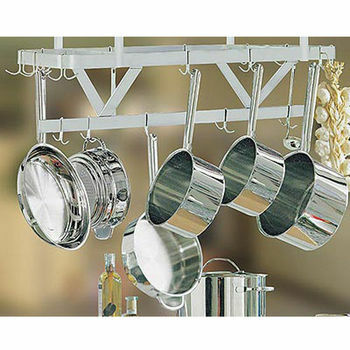 Constructed from solid wood and metal, these John Boos pot racks are a beautiful and durable addition to the kitchen. 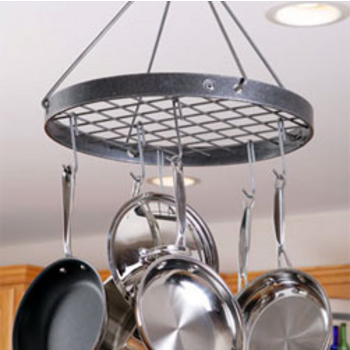 Enclume offers a wide variety of styles of pot rack for the home from traditional to modern over three line styles. 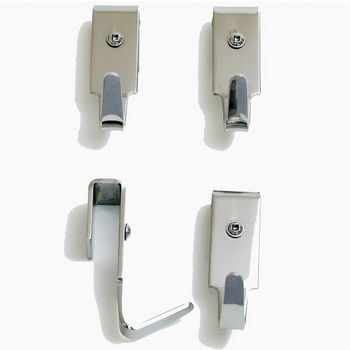 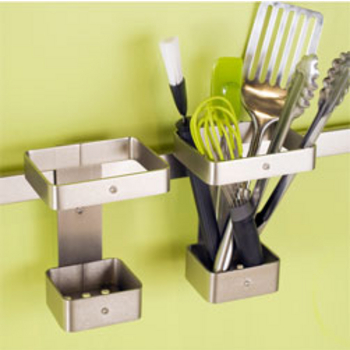 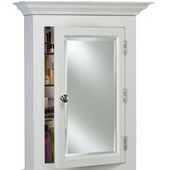 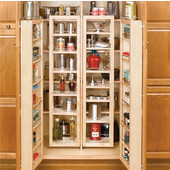 Pot & Pan Pantry Organizer by KV mounts to KV precision ball bearing slides. 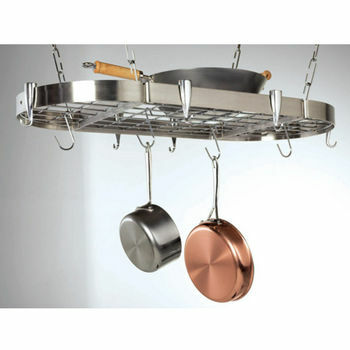 Aero pot racks are functional for todays modern chef. 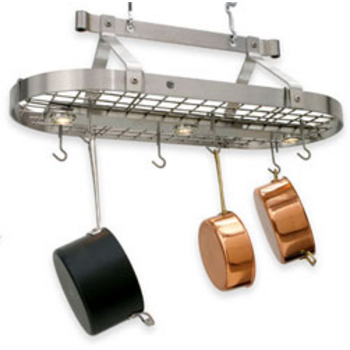 The pot racks are constructed from stainless steel. 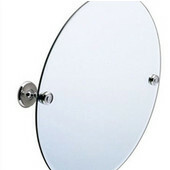 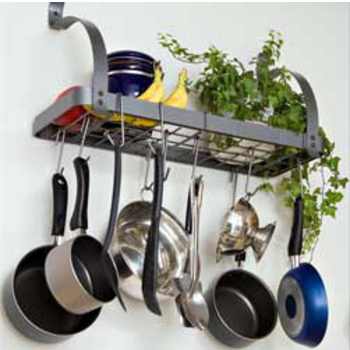 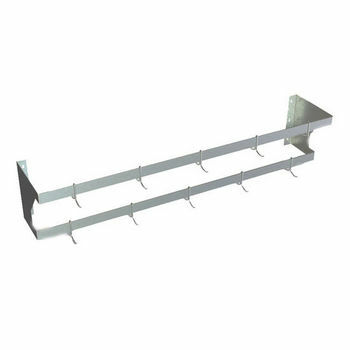 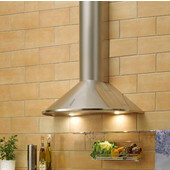 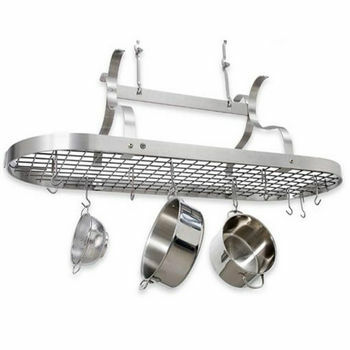 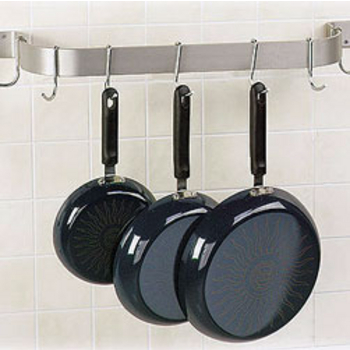 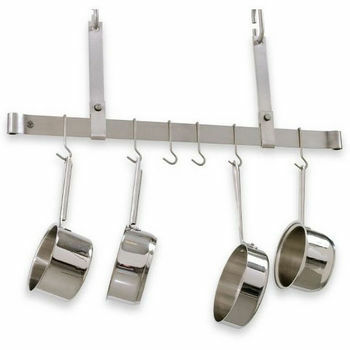 Rogar offers a wide selection of ceiling and wall mount pot racks in a variety of sizes and styles. 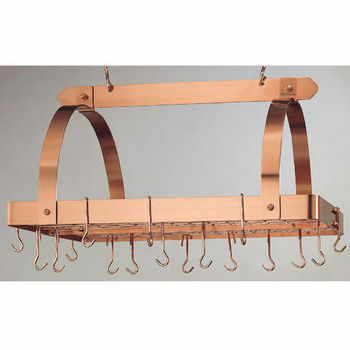 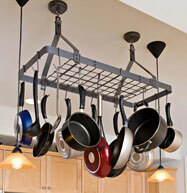 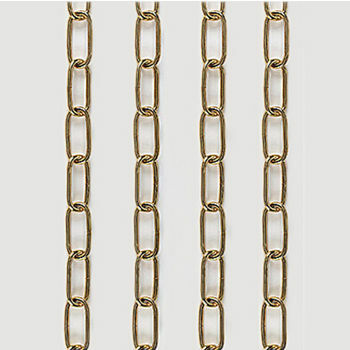 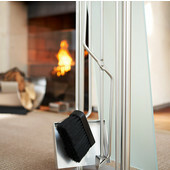 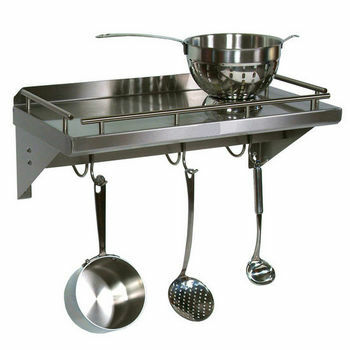 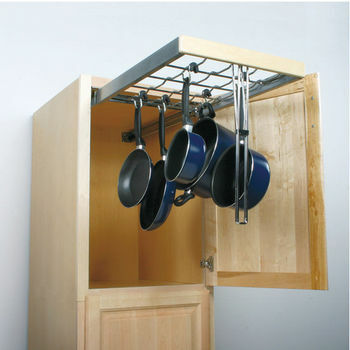 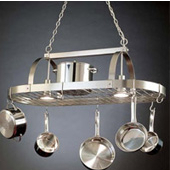 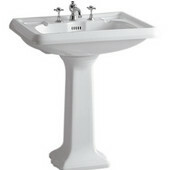 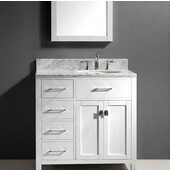 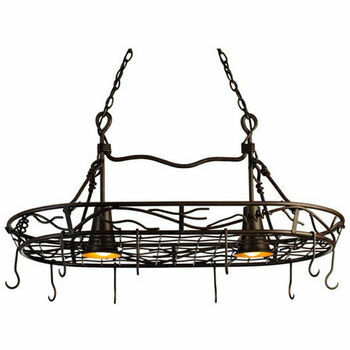 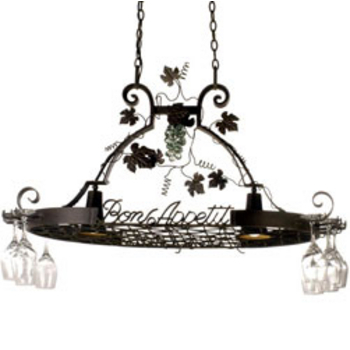 Concept Housewares offers a wide variety of pot racks in hanging styles in Metal or Wood materials. 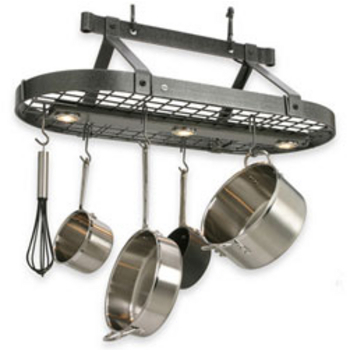 Steel Worx crafts finely- detailed, elegant pot racks to display your cookware. 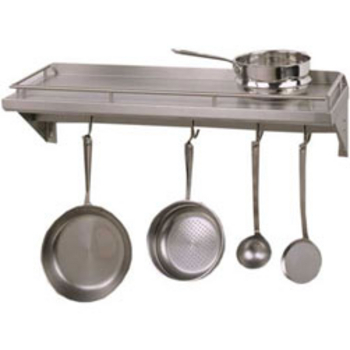 Ideal for home kitchens or commercial areas, these steel pot racks have a beautiful satin finish. 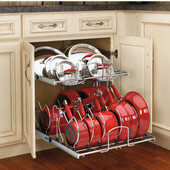 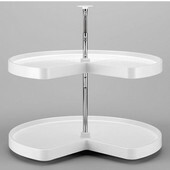 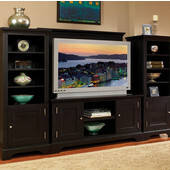 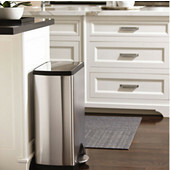 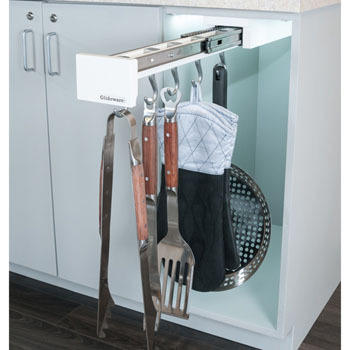 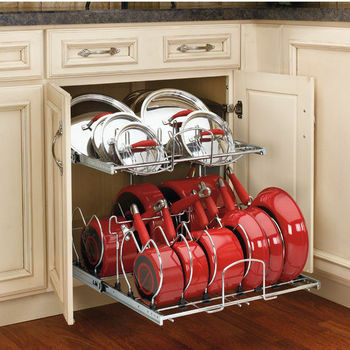 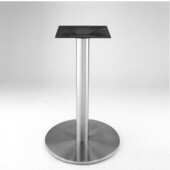 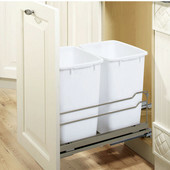 pegRAIL's innovative rack system is easily expanded to meet the need of any kitchen. 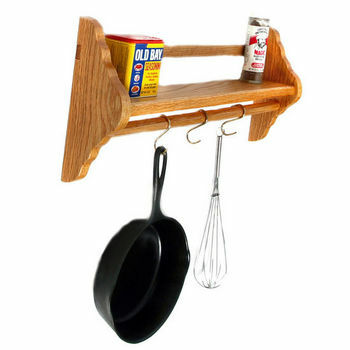 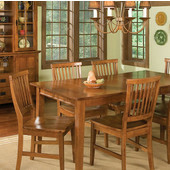 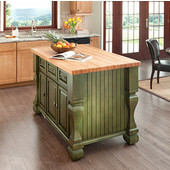 These solid wood pot racks have a natural look and compliment any kitchen with a rustic look.